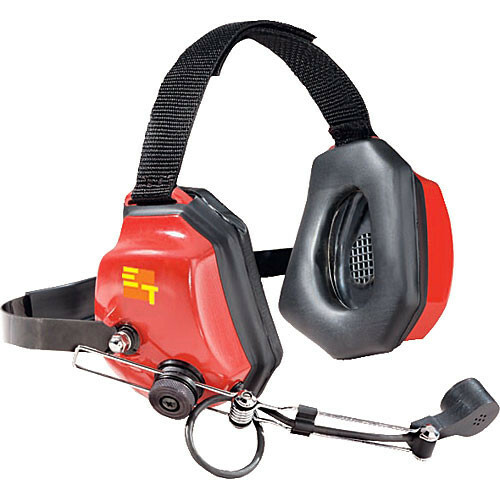 The XTreme headset from Eartec is a professional-quality dual-ear communication headset ideal for use in industries with a high level of ambient environmental noise, such as construction or car racing. The patented hexagonal earcups feature gel-filled pads to provide a high level of comfort and noise isolation. A stainless steel backband and an adjustable over-head strap combine forces to provide a secure, comfortable fit that can be worn safely over most types of protective headgear, such as hardhats. The microphone sits at the end of an adjustable gooseneck, allowing you to position the mic with a high level of precision. The single-sided cable helps to minimize snags and tangles, and is terminated with a connector for use with TD-900 communication systems. Box Dimensions (LxWxH) 11.0 x 8.0 x 5.0"